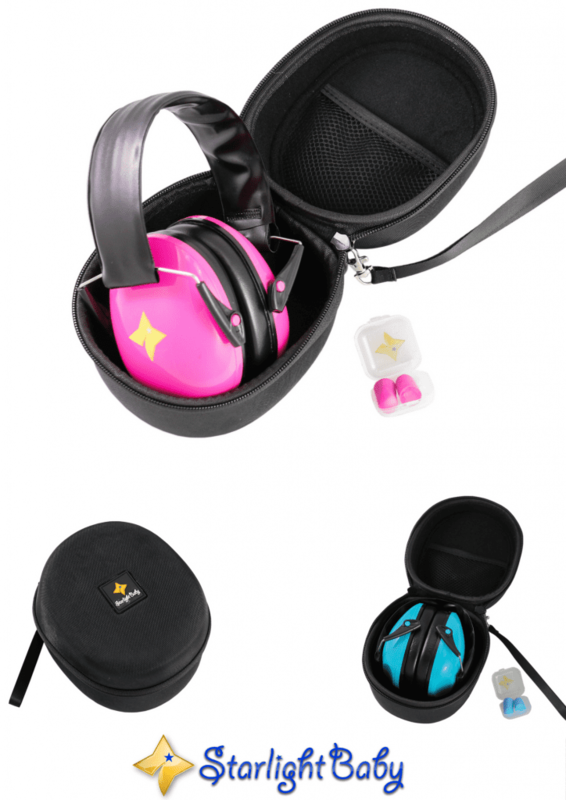 Starlight Baby’s Ear Protection Kit Is Now Available! 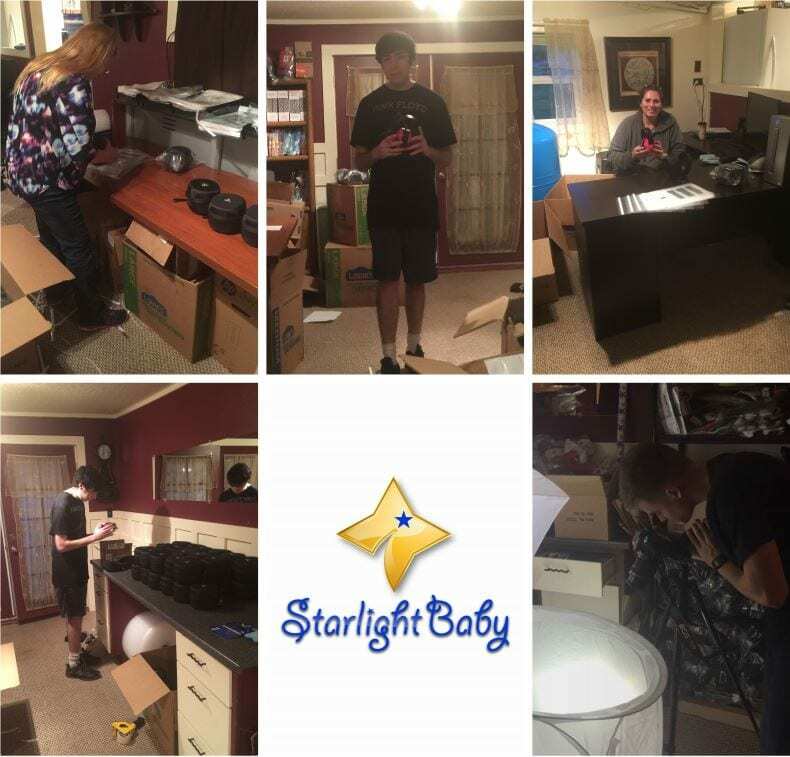 Just wanted to put a quick post out saying that our 2nd product – Starlight Baby’s ear protection kit, is now available on Amazon! As pictured above, this package comes with stylish earmuffs, earplugs, and a carrying case that’s super convenient to carry around. It’s perfect for use at stadiums, concerts and other loud environments, as well as helping your baby fall asleep and stay asleep when noisy surroundings are preventing them from doing so. More and more studies are coming out showing the long-term effects of exposure to loud noise, and it felt like the right time to develop and release this. I mean, our children are only ever going to get one pair of ears, so I feel it’s very important we take the time to protect them. One of the great things about these is that they’re adjustable, so they’re comfortable enough for your little one to actually want to continue wearing them as they grow. This model is ideal for ages 1-12, and I’m hoping we’ll have a set made for infants in the near future. Anyway, don’t want this to turn into a giant sales pitch – truthfully, I’m just very excited, because this marks another milestone for Starlight Baby. Starlight Baby is still a baby in itself. We don’t have a big huge office building, a million employees, or a giant budget to get our word out there. But here’s what we do have. We have a drive and passion to solve real problems and help make a real change in the lives of families all over the world. Yes, one of the ways we do this is through our products. And I hope this will continue as our product line continues to grow. But there’s so much more to it. If you want to make a real impact, you have to do more than just put out a bunch of products. So what else? Well, another thing we do is publish helpful articles here on our blog. Every Monday, Wednesday, and Friday, you’ll find a new piece of information on some topic related to parenting. Every day, people find these articles when searching for solutions on Google, or they land on them when someone shares them on a site like Facebook or Twitter. And that’s just awesome! But there’s one more thing that I truly love about all of this. A lot of people don’t know it, but we donate a percentage of our profits to children’s charities. And that’s something so much more meaningful to me than just our sales. Our purpose isn’t to make a bunch of money. It’s to do something truly great. That’s why the most valuable asset we have is you. Yes, you. In my eyes, you’re the hero here. I would like to thank you for taking time out of your day to read this. I would like to thank you for being a part of this mission, no matter how big or small your part has been. Whether it’s sharing one of our articles on Facebook, opt-ing into our newsletter, buying one of our products, or even just spreading the word, your involvement is going a long way towards helping a lot of people. I couldn’t ask for anything better! Here’s to another fantastic milestone! If you want to pick up our ear protection kit, you can get 10% off by clicking here. Not sure how long we’ll have that offer available, so it’s worth taking advantage of it now. I have been reading this blog and participated in the forum for a long time, long before my baby was born, and long before my wife was pregnant. This blog has helped me understand so many things. The articles are useful and informative. I will check this item and see it comes within my budget.